One of the greatest restaurants in the world is closing and an eclectic mix of international patrons have arrived in beautiful Catalonia for the final dinner service. As the staff prepare and serve an audacious tasting menu, a young couple in the midst of a divorce who made their reservation a year ago before separating, reunite for this once-in-a-lifetime meal. Can their romance be rekindled? Will the brilliant chef be able to pull off a perfect finale? 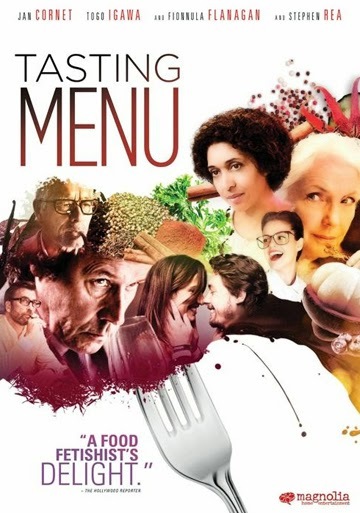 TASTING MENU, like all great ensemble dramedies centered on culinary delights, is a crowd-pleasing mishmash of relationships, feuds, and broken dreams that are mended through the simple act of “breaking bread” and the universal appreciation of great food.